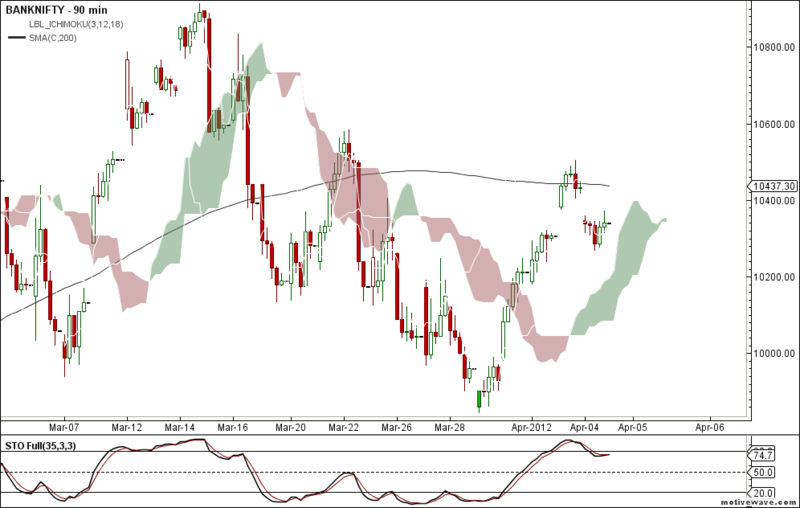 Nifty and Bank Nifty are still in buy mode trading below the intermediate resistance 200MA line. so as per the last post we had exited our longs and waiting for the next trade. 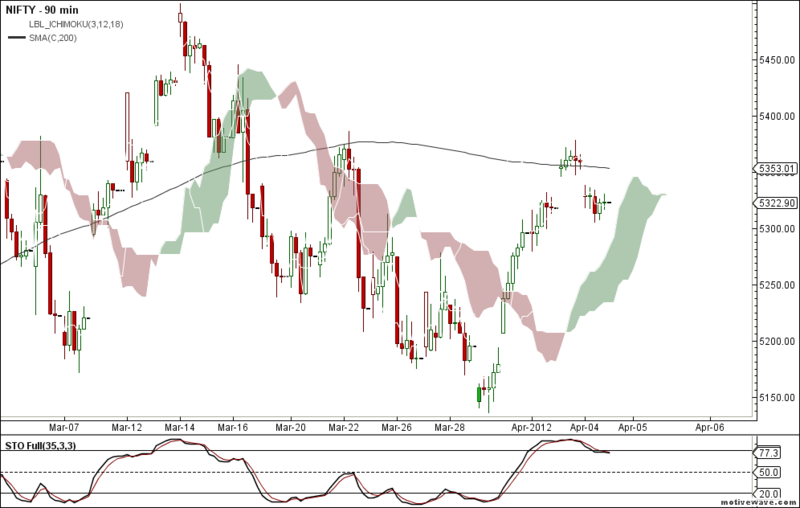 The next trade setup could give a re-entry in long if nifty moves and trades above 200MA line on the 90 min timeframe. Looking for a 6 months intraday nse backfill for ami , probably free , anything you have got ? This is a metastock formula , can it be converted to ami afl? Click the Trends tab and enter the following formulas in the Bullish and Bearish fields. Click the Highlights tab, choose New, and enter "3rd Bar" in the Name field. Now change the color in the Color field to Blue. Finally, enter the following formula in the Condition field, and then choose OK. Using the same method as above, enter the following 2 highlight formulas. Click the Symbols tab, choose New and enter “Shark Buy” in the Name field. Now enter the following formula in the Condition field. Click the Graphic tab. Change the symbol in the Graphic field to Buy Arrow. Now change the color in the Color field to Green. Finally, type “Buy” in the Label field, and then choose OK. Using the Same method as above, enter the following Symbol formula. After you have finished creating the Symbol formulas, you can attach the Expert to your chart by choosing Expert Advisor from the Tools Menu. Select the Expert called “Shark – 32” from your list of Experts, choose Attach, and then Close. Will try to build that in AFL code format.